FABB members are encouraged to plan now to attend the Virginia Department of Transportation (VDOT) and Fairfax County Department of Transportation (FCDOT) public meeting on proposed paving and restriping changes in the Springfield District on Tuesday, February 6, at the Springfield Governmental Center. This is the second in a series of district meetings on paving and restriping where community members are invited to give feedback on general traffic safety concerns regarding roads scheduled for repaving, and the proposed striping changes. This and future meetings will start at 7 p.m. with an Open House followed by a formal presentation at 7:30 p.m. Starting in April VDOT will be repaving several roads in the Springfield District through November 2018 (exact dates will be available about ten days prior to work starting). 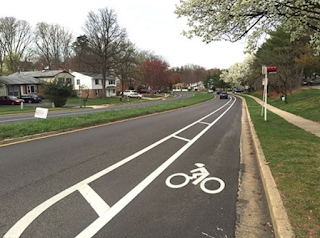 Proposed striping changes in the Springfield District include buffered bike lanes on Huntsman Boulevard, Legato Road, and Post Forest Drive. The plans also will provide wider shoulders on Hooes Road. 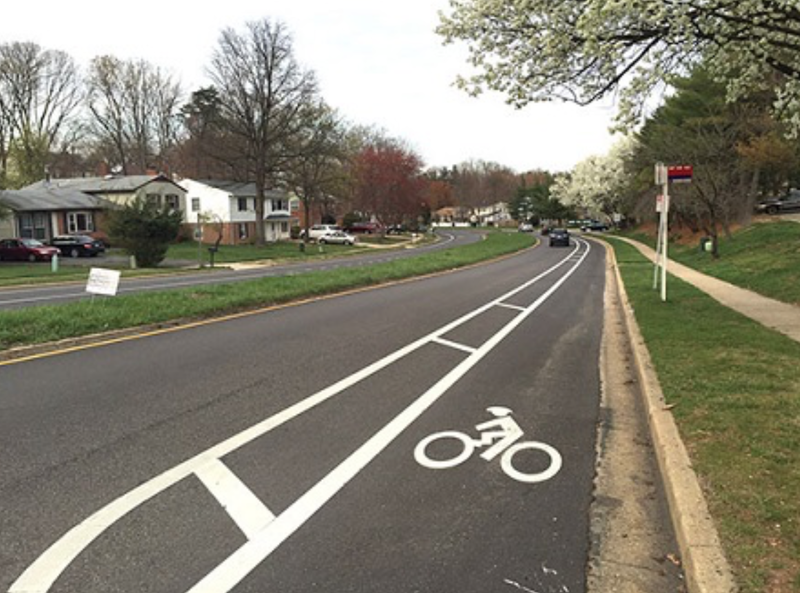 These changes will improve safety for all users and have no or minimal impact on traffic speeds. This is a big deal, and bicyclists need to be out in force to support the bike lanes and prevent NIMBY reactions from derailing the plans. See VDOT’s interactive paving map for more information on road specific project status and contact information, which is updated weekly during the paving season. If unable to attend, you can still submit comments at this FCDOT website through February 23, 2018.